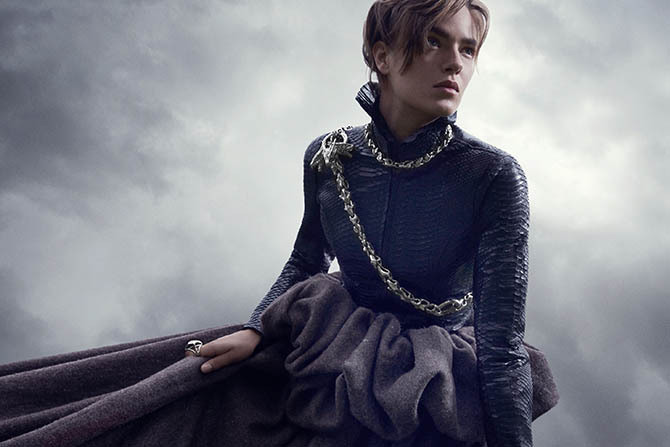 Jewelry in the wildly popular HBO series, Game of Thrones, is quite symbolic, unfailingly captures the spirit of the character and it can even have secret powers. 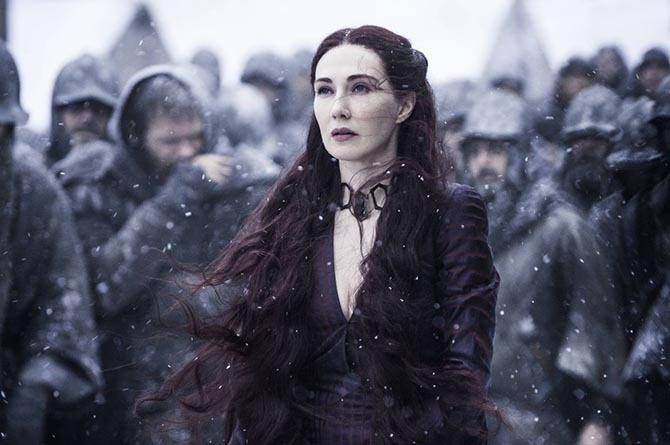 In Season 6, Carice van Houten’s Melisandre, the Red Priestess of R’hllor (Lord of Light), transformed into a shriveled old woman, as she took off her red choker. OMG! Then the red choker with magical powers turned her back into a beautiful young woman. 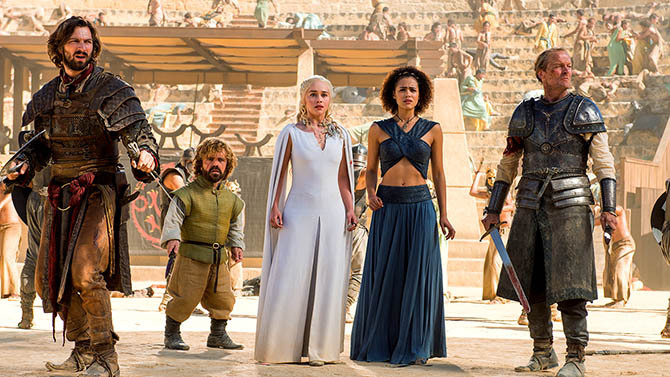 An eye-catching jewel in Season 5 was the neck sculpture worn by Emila Clarke’s Daenerys Targaryen, Mother of Dragons. The piece was hand-carved by London-based art jewelers Yunus Ascott and Eliza Higginbottom, otherwise known as Yunus & Eliza. 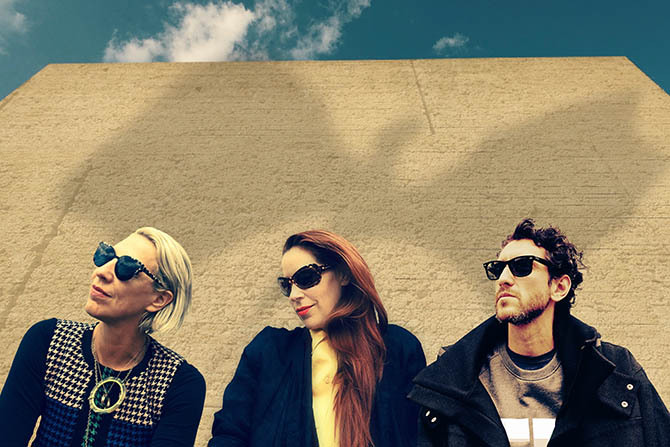 The huge global response to Daenerys Neck Sculpture inspired Michele to team up with Yunus & Eliza to create the MEY for Game of Thrones collection. The collaboration isn’t like the vast majority of merchandise generated from entertainment. There is supreme quality and authenticity to the collection that includes hero pieces from the HBO series and new jewels inspired by them. “We decided to design smaller pieces to sit alongside the ones that feature in Game of Thrones, to create entry points into the look,” explains Eliza who shared some specifics on MEY Designs inspired by Seasons 6 and 7, the Dragon Storm and Breaking Chains Collections. Why did you blend an intrinsic edginess with rebellion for Daenerys Targaryen in Season 7? Her jewelry portrays her feelings and intent. It is symbolic, both protecting and menacing. Yunus and Michele and I worked very closely to develop the pieces to work in perfect symbiosis with the character and costume. The long body chain is totally badass. With a strong militaristic feel, the jewelry is different from the rest of the pieces that mirror Daenerys’ fragility and strength. 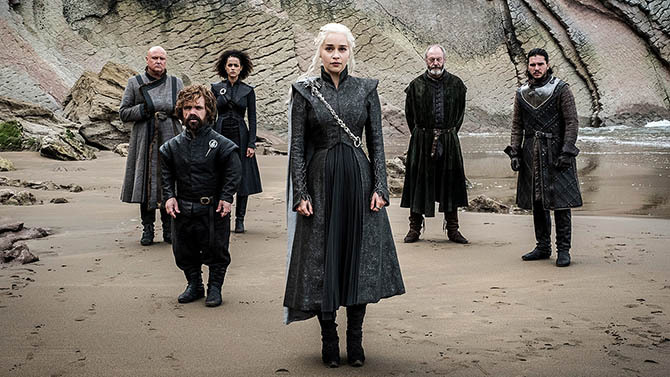 Daenerys is out to reclaim the throne from Cersei Lannister, armed with her determination, the unsullied and her dragons. Is this why the chain has been accessorized in military mode? Daenerys is now in full battle mode, she intends to claim what is hers. Her whole look embodies this, and the body chain across her chest signals this military intent and power. It still has a fragmented feel and, of course, her dragons are ever present. The Breaking Chains collection for Season 7 revolves around the hero piece. Could you tell me more about the design? 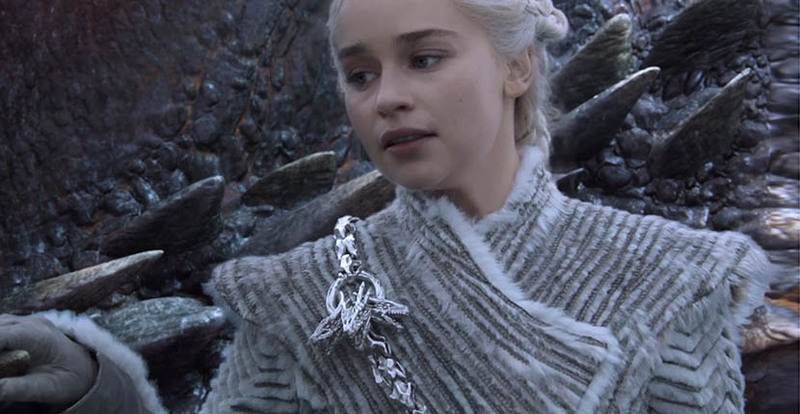 Worn by Daenerys Targaryen throughout the series, each link of the chain is a hand carved and fragmented link resembling the dragon spine, and at its heart, sits three dragon heads. Fans can buy an exact replica of the original. 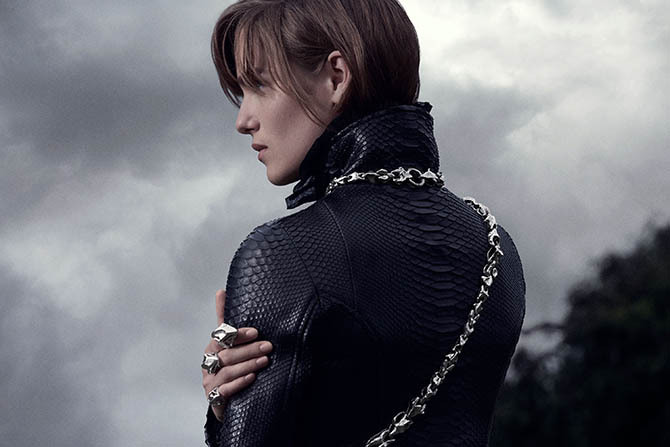 We have used the exact same chain links to create a unisex collection of rebellious statement jewelry. The same three dragon heads are also worn by Daenerys in pin form, which we have reproduced as a scaled-down pendant. Have you designed pieces for other characters in this season? Yes. This season, Missandei wears our Dragostorm Single Dragon Ring, Daenerys also wears our Flight Ring, and Ser Jorah, Tyrion, Grey Worm and Varys can all be spotted in Allegiance rings. What is the best seller from the Dragon Storm collection inspired by Season 6? Which is the hero piece? From Dragon Storm, our best seller has been the Daenerys Drogon Neck Sculpture, which is also the key hero piece. 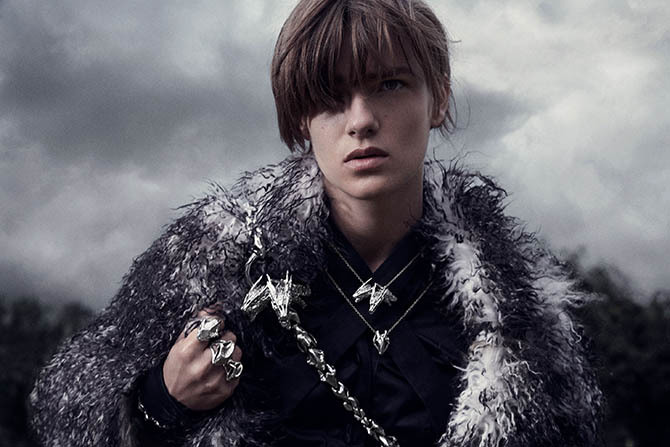 The whole collection has sold brilliantly, but the Dragonstone Pendants, the Dragon Storm earrings and ring, and the Daenerys Drogon Choker are also best sellers. 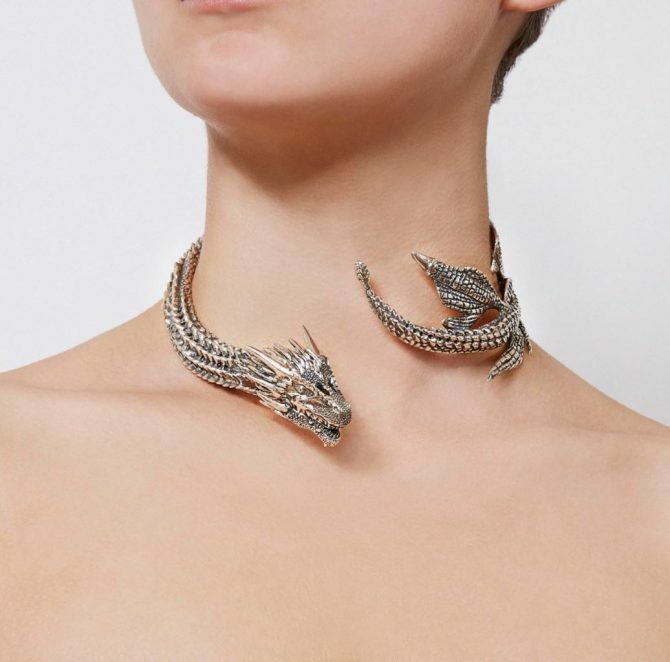 The Drogon neck sculpture features the dragon motif in a hand-carved open collier. Can you elaborate on the finishes as well as the techniques that you’ve employed to make the dragon’s mouth move? The neck sculpture is hand-carved in wax. We modeled a complete whole and then started stripping back elements to create a more skeletal feel. We then cut it into sections for casting and reassembled it in metal. In the full version of the neck sculpture, the two wings come on and off, so it can be worn in the two styles the Khaleesi wears it.